Manufacturer of a wide range of products which include positive pressure module. The application of these pheroh make pressure module is used in a small clean rooms to keep the positive pressure inside. It's take place in the industrial manufacturing for the protection of he product from the dust in the following areas. The unit is deal the protect the product from particular contamination with the help of class 100 air. 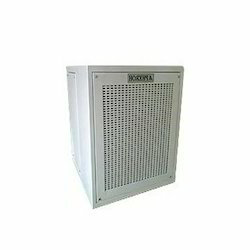 Available vertical, Horizontal & AC inbuilt Units. Easy installed & very, horizontal & AC inbuilt Units. Easy installed & very less maintenance. Looking for Positive Pressure Module ?